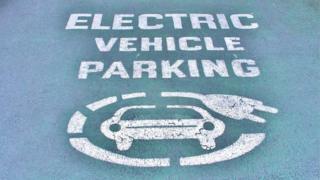 Motorists will be able to charge their electric vehicles in solar-powered car parks as part of a new trial. The Smart Hubs demonstrator project will also use vehicle-to-grid (V2G) technology to enable cars to deliver electricity back to the smart grid. Edinburgh-based Flexitricity, Flexisolar, Turbo Power Systems and Smart Power Systems are among the firms involved in the project. They are now looking for sites to take part in the trials later this year. Up to 150 V2G-enabled electric vehicles are expected to be involved in the project at six sites. The consortium said the project, which will look at integrating "various battery storage options", would allow large numbers of electric vehicles to be charged without placing further pressure on an already-constrained grid. The research will also seek to show that car park owners such as airports, train operators and retail centres would benefit from "sustainable revenue streams". The consortium said it aimed to "help power the electric vehicle revolution", with nine million electric vehicles expected to be on UK roads by 2030. Flexitricity chief strategy officer Alastair Martin said: "Having the ability to recharge in a short time using a grid-friendly infrastructure will have a huge impact on the electric vehicles market - it really is a question about how quickly we can deliver this capability. "We are now looking forward to identifying partner sites and embarking on the trials later this year, as we strive to deliver a solution that will drive the growth of the electric vehicle market and bring transformational benefits to motorists, car park operators and energy re-sellers."